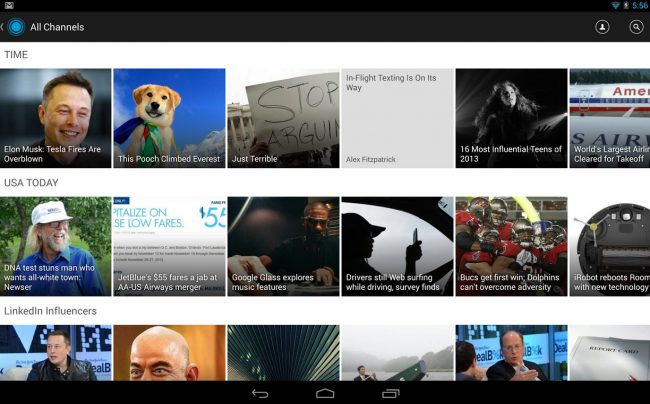 Coming into this year, Pulse was one of the more popular personalized newsfeed applications that Android could offer. When they were acquired by the business-minded LinkedIn network, people were a little concerned that their app would change. LinkedIn has made a few changes, but made sure they were ones like today’s user interface overhaul. In addition to adding in Android’s signature hamburger style menu options, reading and moving through individual stories has been made easier as well. LinkedIn also added in the ability to sign into your LinkedIn account on this app and import your feed from there as well. Lots of article and knowledge sharing goes on in LinkedIn feeds and now that can be accessed from Pulse. Add all of this together and you get an update that is definitely worth downloading. Do you use Pulse? Is this an update you have been waiting for?